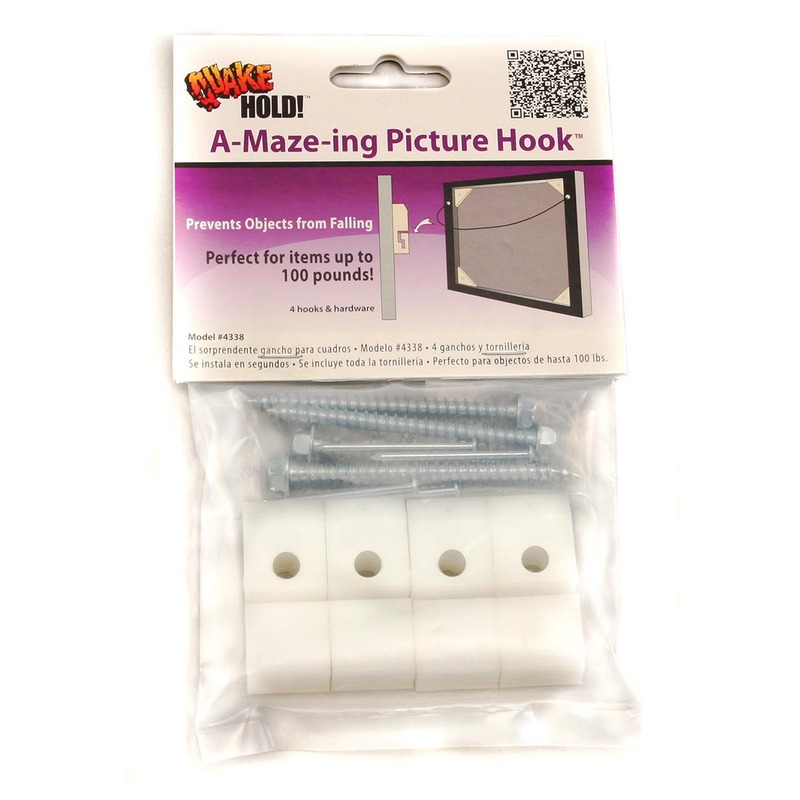 The A-Maze-ing Picture Hook™ has revolutionized the way we hang pictures and heavy mirrors. 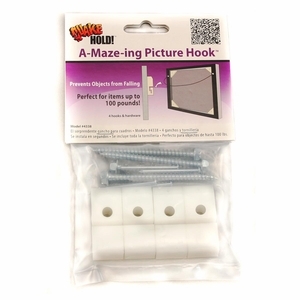 This heavy-duty hanger traps the backing wire in a maze and prevents wall hangings from jumping off the hook during an earthquake. To hold items up to 100lbs, screw the hook into the wall stud. For lightweight items, hang with a nail. Easy to install and remove.